Not all dogs fit the stereotype of being eating machines. As a matter of fact, many dogs are quite picky when it comes to their food – even requiring encouragement to consume their daily meals. 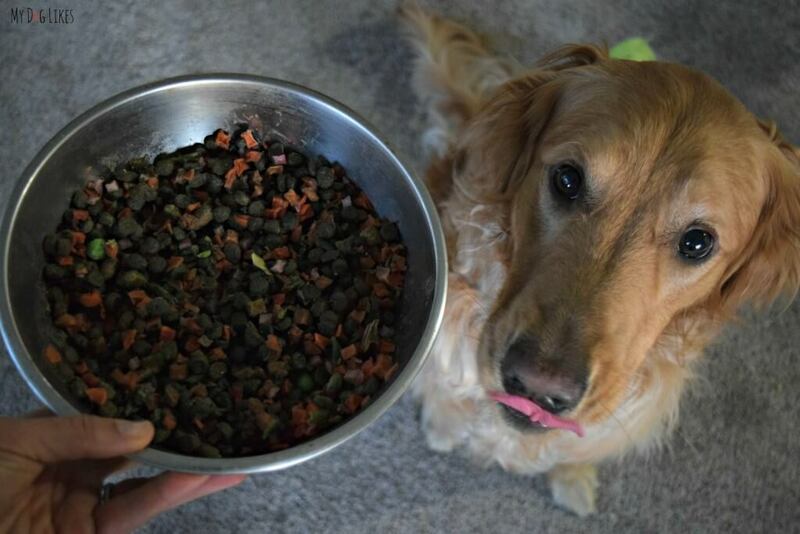 So what do you do if your dog doesn’t want to eat his/her food? Below we’ve compiled our favorite tips and tricks to help encourage your dog to get the nutrition that they need. This includes plenty of homemade solutions as well as a few products designed just for the task! First things first, you will want to make sure there are no health reasons which may be causing them to lose interest in their food. In particular, watch out for sudden changes in your dogs behavior, weight loss, or signs of pain. You may even want to schedule a visit with your vet to consult them on them matter just to be sure that your dog has a clean bill of health! Once you feel confident that everything is OK physically, you may want to consider a different brand of food or protein source. 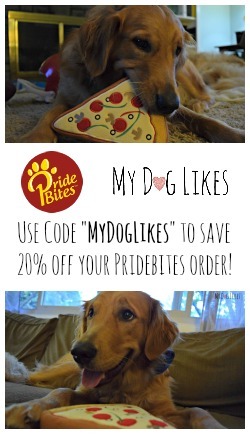 Even if you are already feeding a premium food, some dogs will simply have a taste preference. We have switched up brands of food several times over the years as our boys developed a lack of interest in it – even after eating it for years prior! 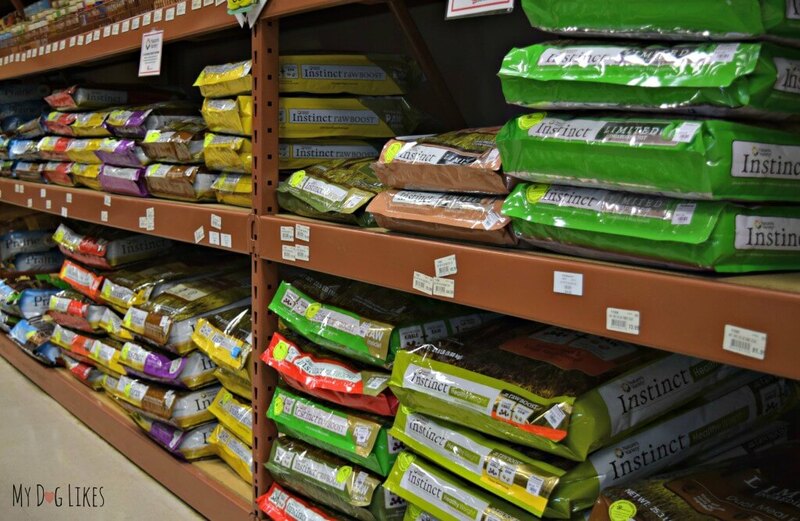 TIP: Many pet food stores actually have a policy that allows you to return open bags of food if your dog will not eat them! Simply mixing a bit of hot water with their food will help to release aromas which may pique your dogs interest. Dogs have up to 300 million sensory receptors in their noses. As a comparison, humans have only about 6 million! Though dogs have a great sense of smell not all breeds/dogs sense of smell is created equal leading to quite a bit of variation! Think of it like this, if you’ve ever had a bad cold and can’t smell, you know its hard to have a taste for anything! So while dogs have a better sense of smell than humans, lots of kibble is significantly less aromatic than our human food. No wonder they need some encouragement! When something like kibble mixes with water, tiny particles are dissolved into it. 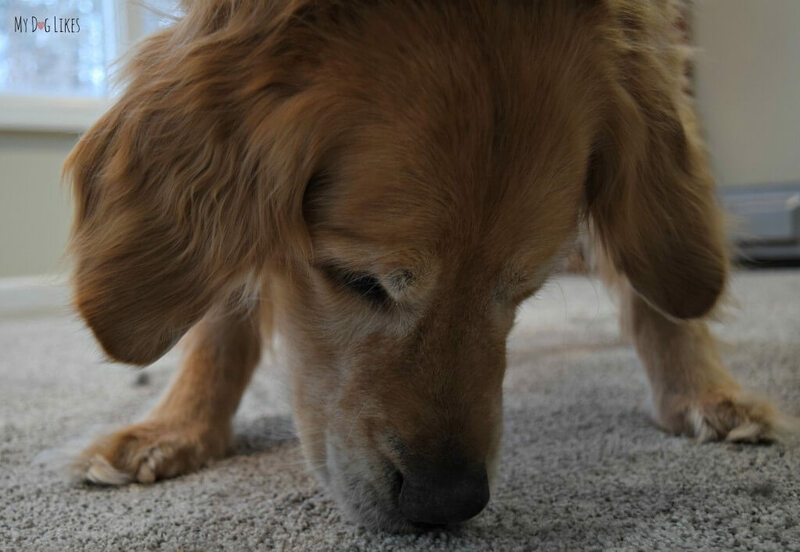 Through evaporation, these small particles will begin to float about the air and should grab the attention of your furry friend! 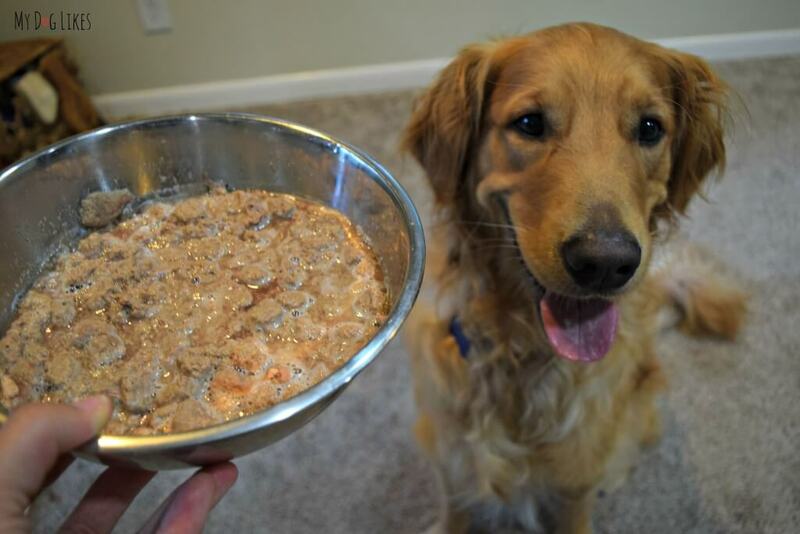 Another benefit of mixing food with water is that it will soften up dry dog kibble. Some dogs do not like the crunch of kibble, and prefer a softer meal! Similar to the water option, heating up your dogs food helps to increase the aromas it emits. This is because the molecules become excited as heat is added and are able to “break away” and float into the air. 10-15 seconds in the microwave in a ceramic or glass bowl is all you will need to give this option a try. Just make sure to touch the food yourself to confirm that it is not too hot! 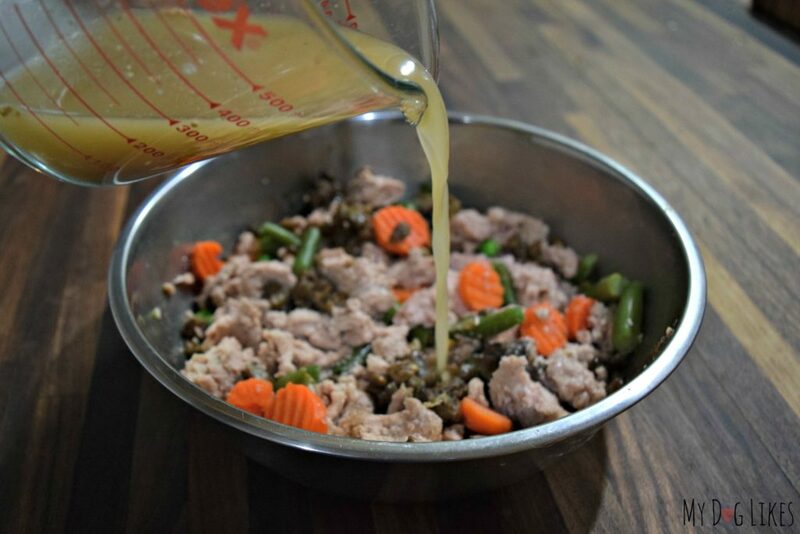 Adding a bit of chicken, beef, or vegetable broth to your dogs food is a great way to encourage your dog to eat. Just make sure to choose one that is low sodium and onion free (onions are toxic to dogs)! Better yet, make your own if you have the time! A homemade bone stock provides tons of health benefits and you get to control exactly what is in it! Eggs – These can be raw (if you are comfortable with that) or cooked. Just remember to adjust for the extra 70 or so calories that a large egg will add to their meal! Yogurt – Not only is it tasty, but yogurt is loaded with the probiotics to help keep a dogs stomach in balance. Make sure to stick to plain – flavored yogurts are packed with sugar that your dog does not need! Cottage Cheese-Depending on whether your dog tolerates dairy well, cottage cheese can be an inexpensive and high protein addition to your dogs food. Once again, be sure to adjust for calories! Fruits and Veggies – Our boys love bananas, carrots, green beans, and apples but there are TONS of great options. Check out this list of healthy fruits and vegetables for dogs from our friends at Puppy Leaks for more ideas. Perhaps your dog is not a big fan of the consistency or texture of their food. 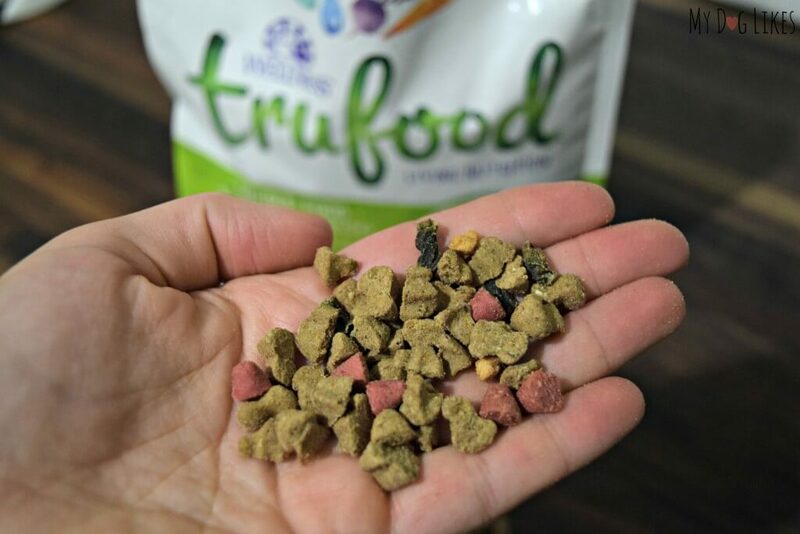 Mixing in a bit of wet dog food into their dinner will not only create a more enticing meal by increasing the aromas, but it will soften the kibble due to the higher moisture content. TIP: Your current food likely also has a wet option in the exact same flavor so that you don’t have to worry about causing stomach upset! Use a Bit of Psychology to Create a FOMA (Fear of Missing Out)! Believe it or not, some good old fashioned jealousy can work wonders in grabbing your dogs attention. Everyone wants what they can’t (or shouldn’t) have, right? Remove the food after a set amount of time if it has not been eaten. If your dog learns that it is not always available they will be more apt to eat up while they can. Make it a game! There are lots of easy DIY or ready to purchase options! Create a DIY puzzle by putting some of your dogs food in an empty and clean 2 liter soda bottle with the cap off. You can also get fancy and purchase a pre-made option like a snuffle mat or boredom busting game! If nothing else seems to be working try hand feeding your dog. It may sound extreme, but if you are really worried that they are not getting the nutrition that they need, it is absolutely worth a try. Your dog has developed a strong connection with you and wants to please you. Because of this, they may feel more comfortable taking food directly out of your hand vs. a bowl on the floor. Work with them over time to transition them into eating from their bowl. Now that we have taken a look at some options that you probably already had at home, lets dive into a few commercial products designed specifically for this sort of thing. 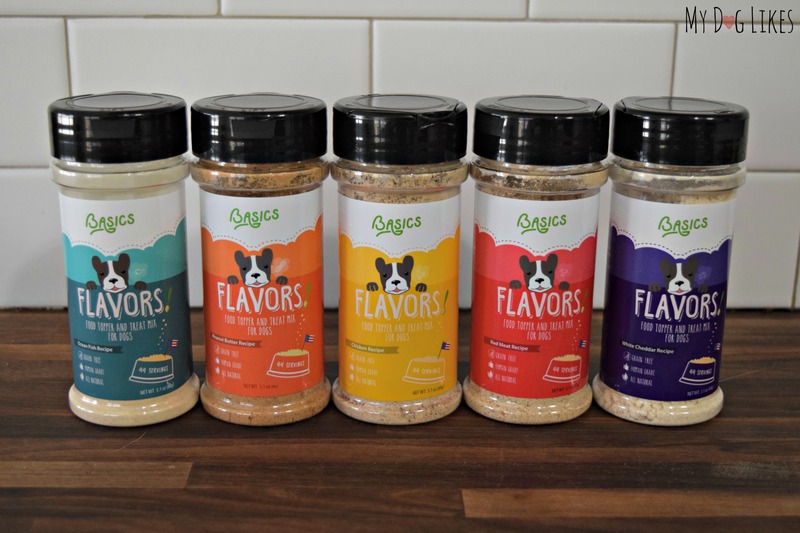 FLAVORS food toppers are a simple way to add some variety to your dogs next meal. These all natural, grain-free, powdered mixes can be sprinkled directly onto their current food. Best of all? They come in 5 different varieties including Ocean Fish, Sweet Potato, Chicken, Red Meat, and White Cheddar. We recently had the chance to try out these flavor mixers and both boys loved them! Can you think of anything that would grab your dog’s attention like raw meat? Well, Stella & Chewy’s Meal Mixers allow you to give your dog a taste of raw – without the hassle. Meal Mixers consist of 95% nutrient-rich meat, organs and bone, all in a freeze dried form. 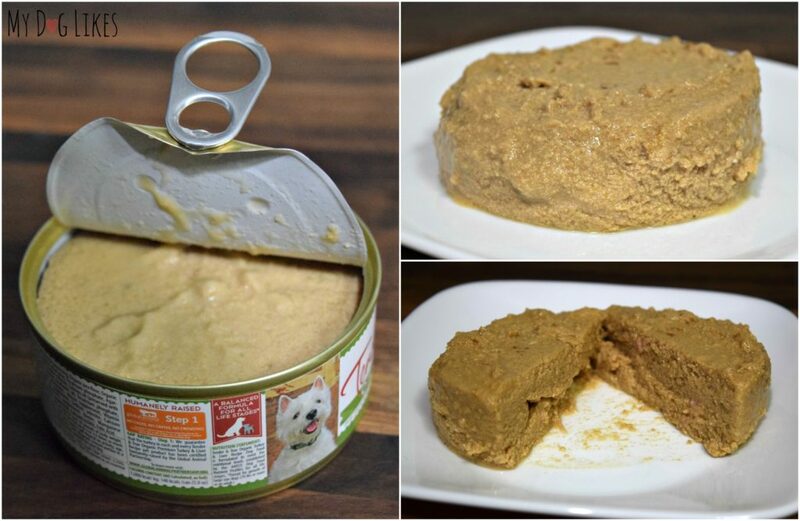 This can be added directly to your dog’s current food or even served on it’s own. TIP: Mix it with a bit of water to release an aroma that your dog won’t be able to resist! 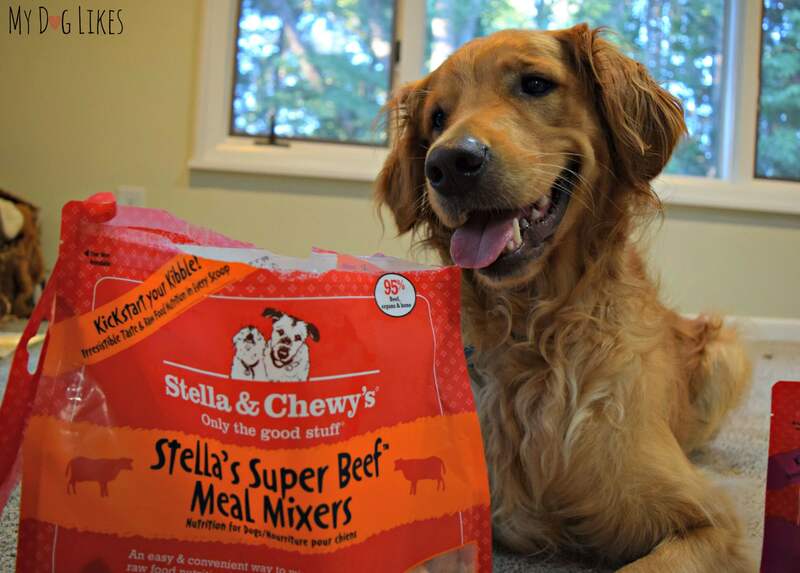 Click Here to Pick up Some Stella & Chewy’s on Amazon! Another Raw option in a freeze dried form, Primal’s nuggets come in several different varieties including beef, chicken, pork, and turkey/sardine. Primal’s freeze dried raw dog food is completely self stable so you don’t need to worry about finding space in your refrigerator. These large chunks of meat can be crumbled and re-hydrated in a matter of minutes. 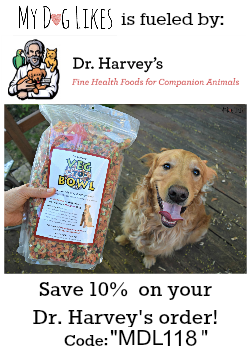 While the formulas make for a complete meal in and of themselves, they make for and amazing topper to your dogs current food. Katie was a super picky eater and one who didn’t like to eat as a youngster, but around 3, she started enjoying food and treats. Then when she got older the problem returned. One needs to be patient. I’m good about eating meals, but very slowly no matter what I am served. As for treats, I’m super picky. That is so helpful. I really didn’t know how to handle the little guy’s mood. As soon as i made food for myself, he stopped eating his and instantly wanted what i was having (I don’t exclusively feed him with pet food, often giving him my own anyway). Now i learned to feed him first to at least avoid his “jealousy”of my own dinner! He still leave his food untouched regularly and so food gets wasted. I will try your other tips, thanks a lot! We had to do the hand feeding thing with our newest dog when he first came to us. He had no interest in eating. We fed him by hand the homage sweet potatoes and salmon mix we feed our other two. It was pretty gross, but at least he was eating. Sometimes he would eat from a spoon. We eventually moved him up to eating from a plate (instead of a bowl) thinking maybe he was not liking sticking his face into the bowl. At some point we switched him to a bowl and now he scarfs his food down faster then the other two (no small feat). We can hardly believe that he barely ate in the beginning. 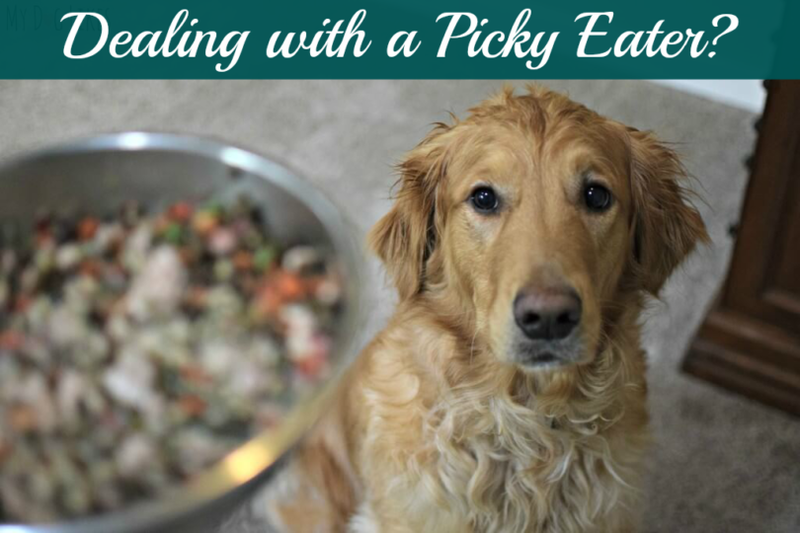 These are great tips, though we have never had a healthy dog who was a picky eater. We did try many of these things with both Kobi and Sheba when they were not well and didn’t want to eat, and some really did work. The hand feeding worked best with Sheba (didn’t my hubby love doing that when we had mixed wet food into the dry – LOL). I think it’s wonderful all the different types of healthy options that are out there now; so there are many things to try. Great blog, thank you for sharing. Sometimes, I also get confused regarding my dogs food. 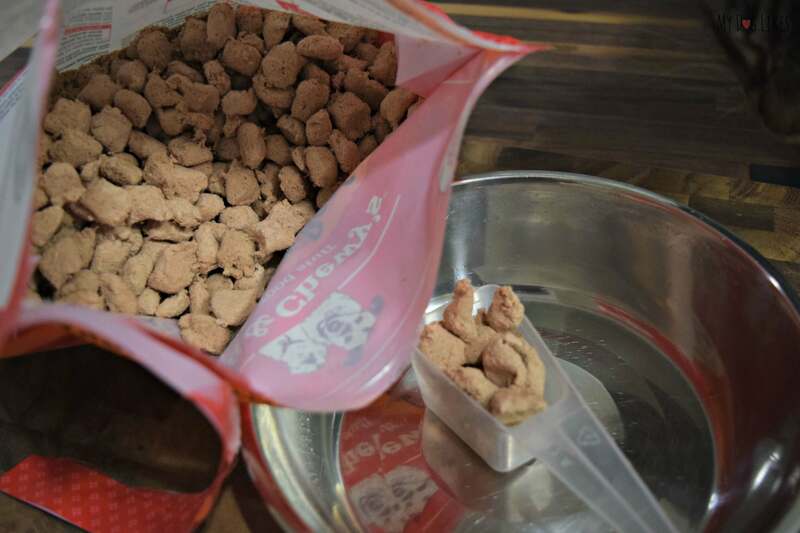 I have tried many type of dog foods but those didn’t suit and my dog fell ill. From this blog, I got many ideas regarding food and also got tips how can I serve these foods to my dog. I will also try to make few foods at home by myself which you share in this blog. Love this site. I have a 16-year-old very fussy eater who turns her nose up at home cooked food, bone broth and most everything. One day the food is fine, the next day she sniffs her food and walks away as if, if she could talk, she is saying, “I’ll starve first.” Feeding time brings me a great deal of stress because I hate to see her not eat even though I know she’s hungry.